Help CenterHelp for Interfolio DossierHelp for Your Dossier Medical and Dental School Support for DossierHow to: Add ID Numbers to My Delivery? 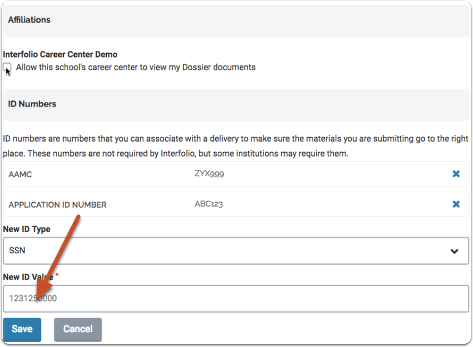 If you are applying to a school through Dossier and have been asked to include ID numbers with your delivery, follow the instructions below to save ID numbers to your account and add an ID number to your delivery. If necessary, you can associate delivery ID numbers with your deliveries, and document ID numbers with particular materials. *Please note: Interfolio does not require your AACOMAS ID for deliveries to AACOMAS. If you would like that ID included in your delivery, please ensure that it is included in your recommendation letters. 1.1. 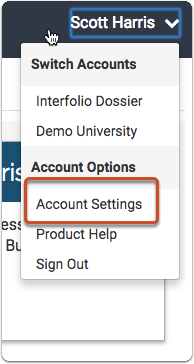 Log in to your account, click your name and navigate to "Account Settings"
Zoom: Click the add button in the ID numbers section. 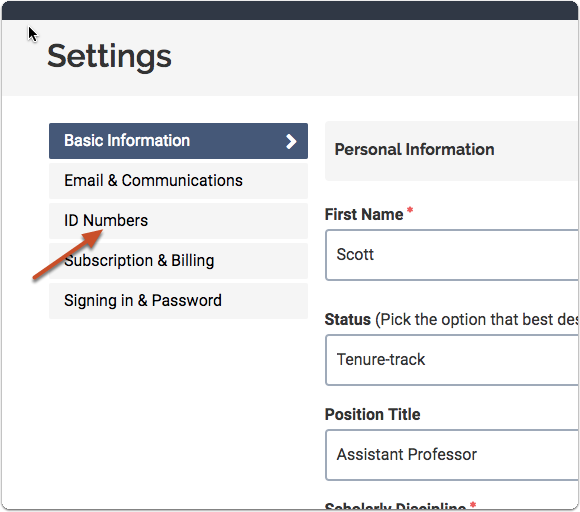 After completing this step, the ID will be saved in your account and available for you to include on your delivery coversheets. ID numbers are associated with deliveries from the "Review & Confirmation Delivery" page shown below. This screen comes up during the process of creating a delivery to AMCAS. 3. 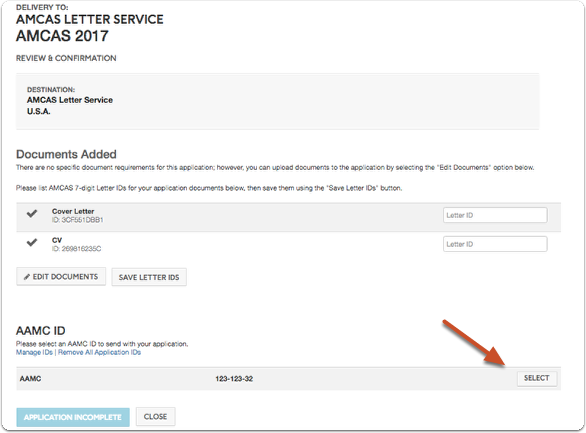 Enter the 7-digit letter ID from AMCAS and click "Save Letter IDs"
See here for more information on sending materials to AMCAS. Next: A school is not appearing in Interfolio's saved destination search results. What should I do next?